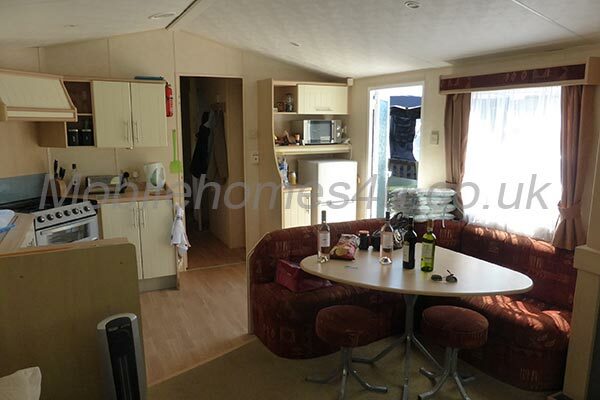 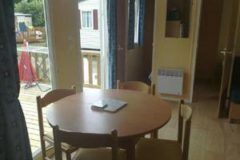 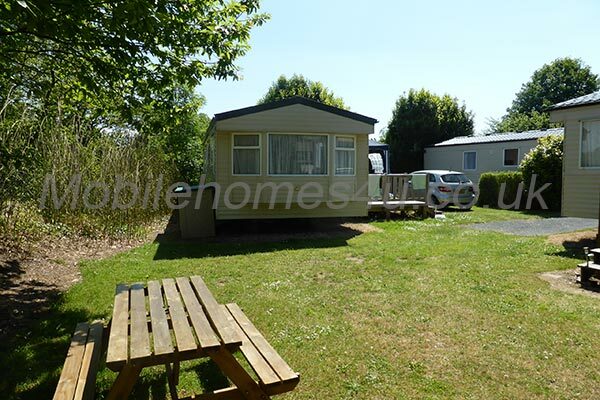 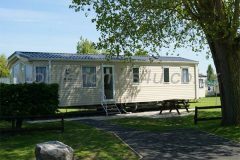 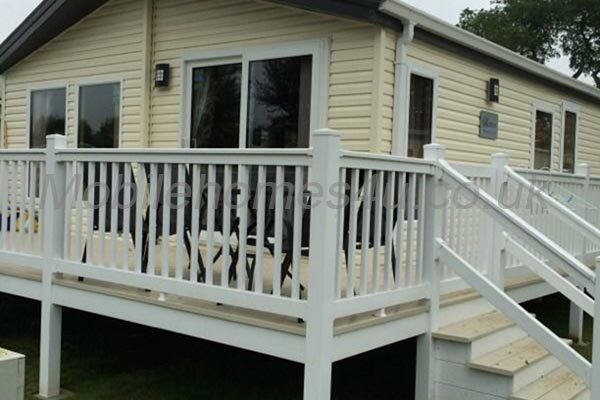 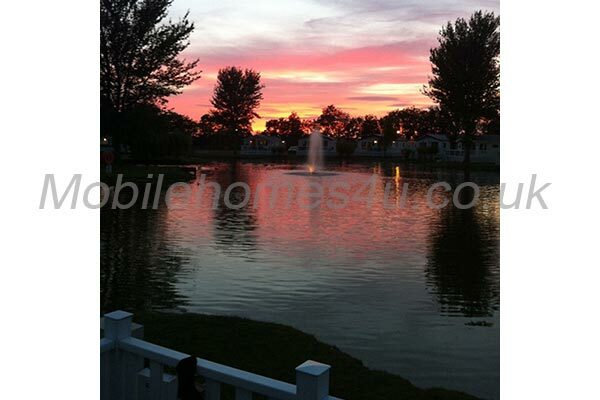 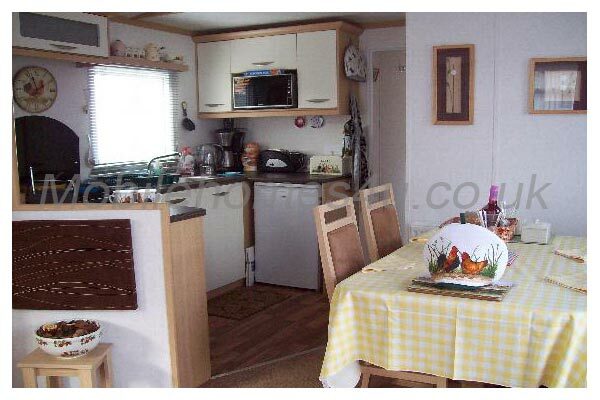 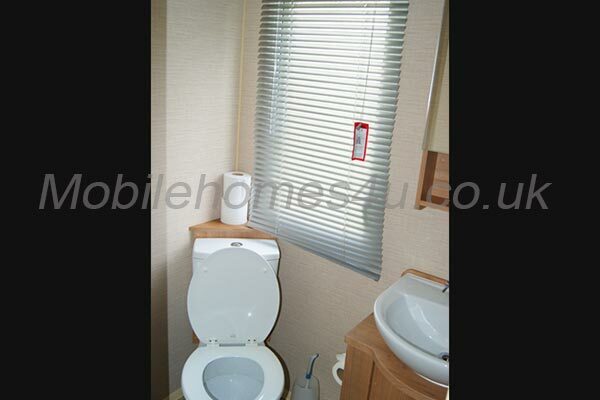 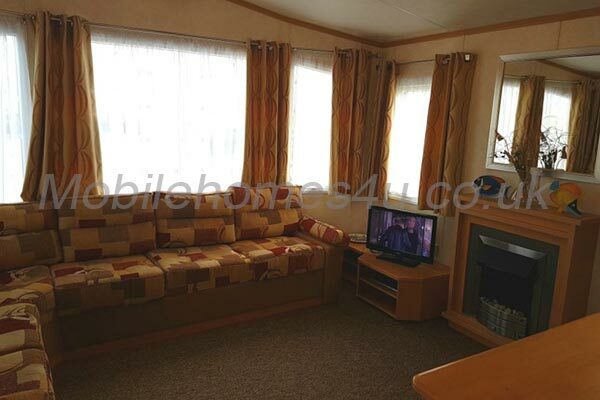 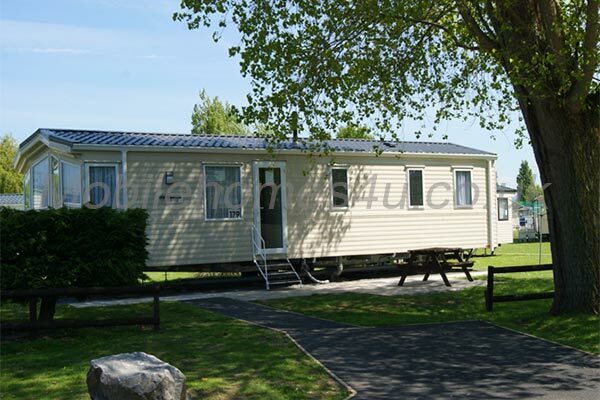 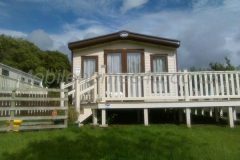 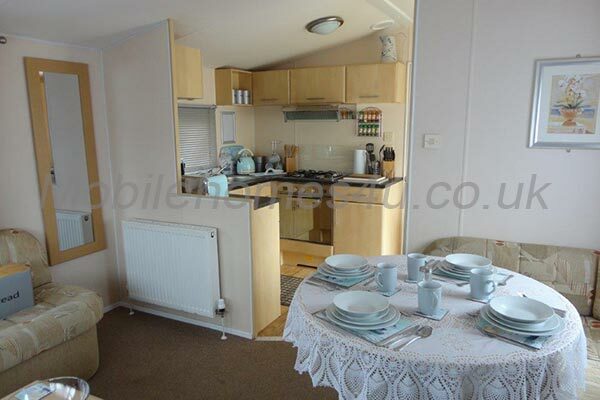 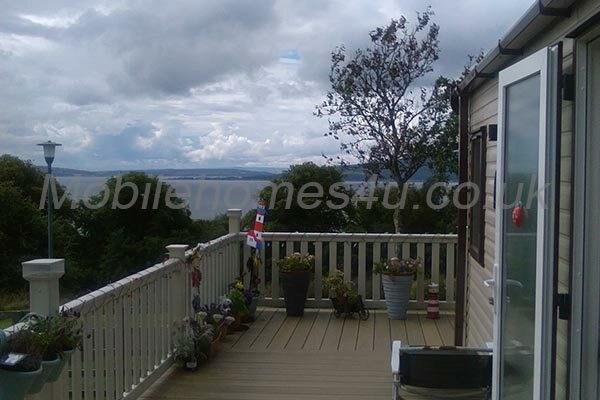 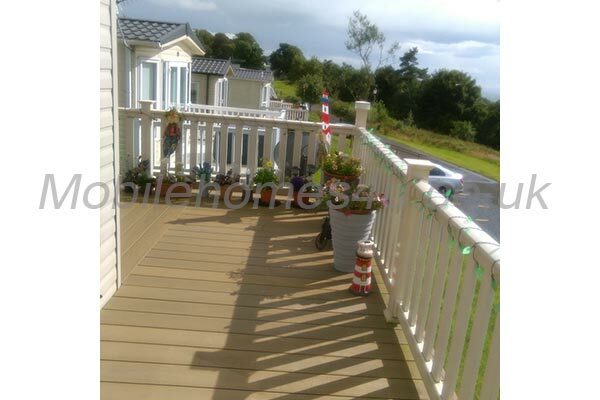 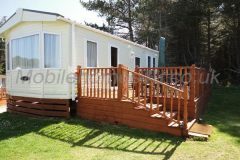 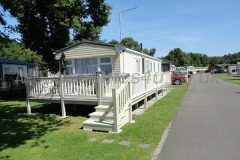 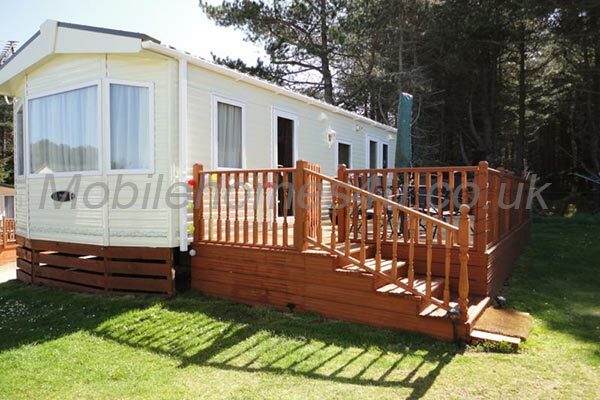 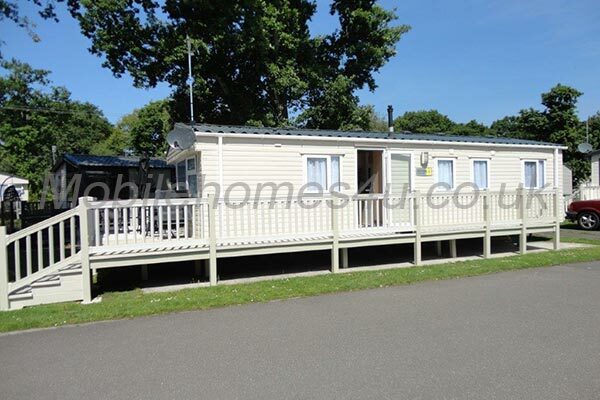 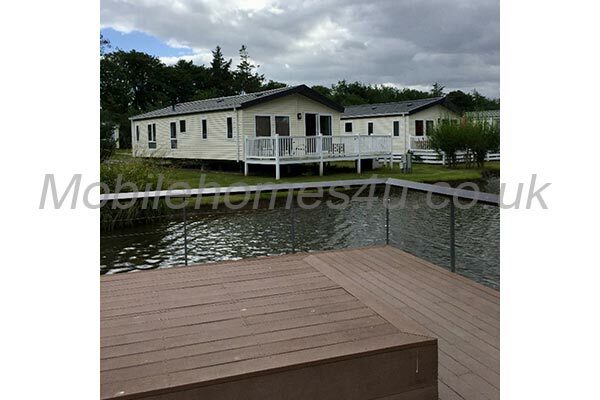 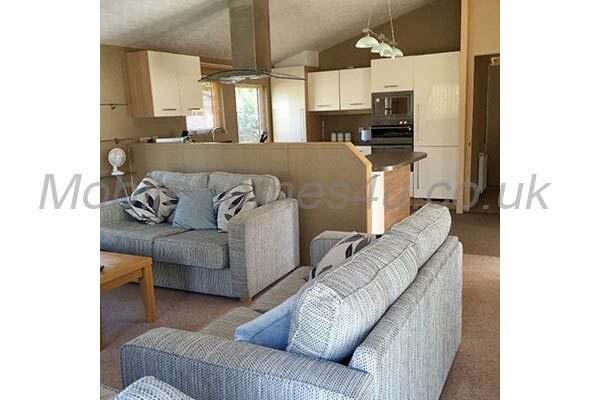 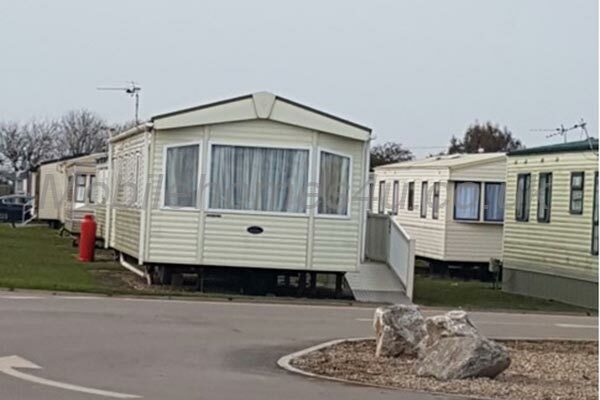 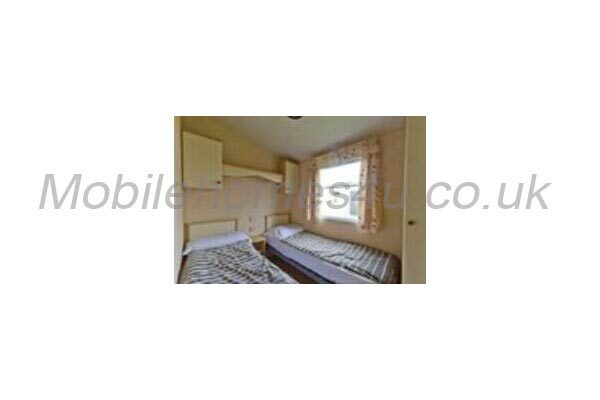 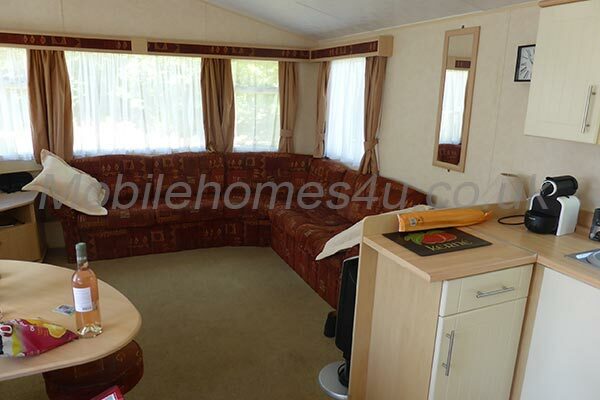 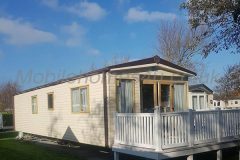 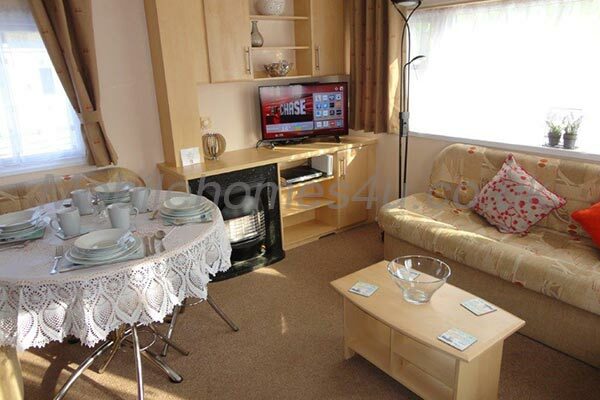 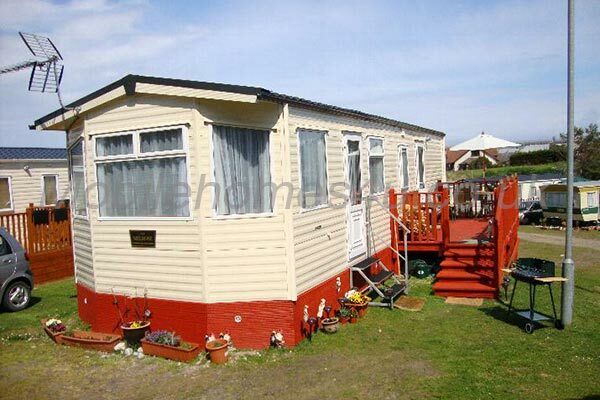 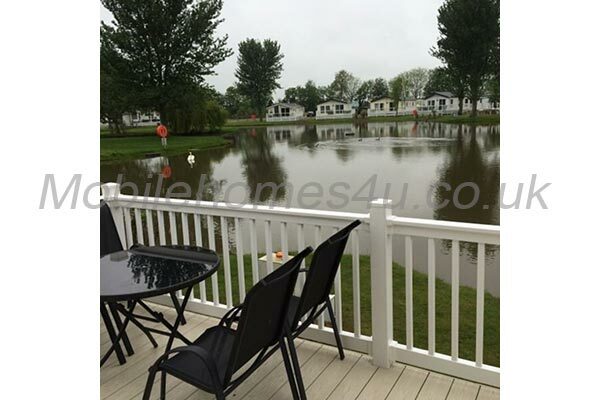 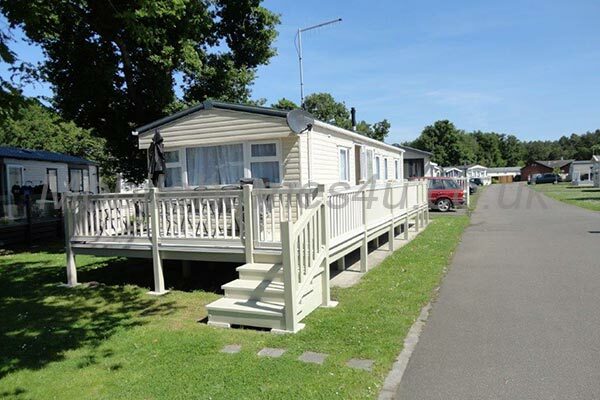 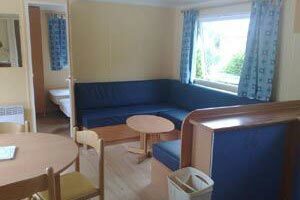 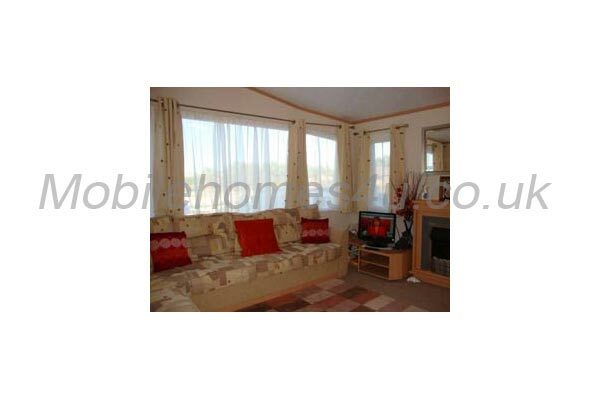 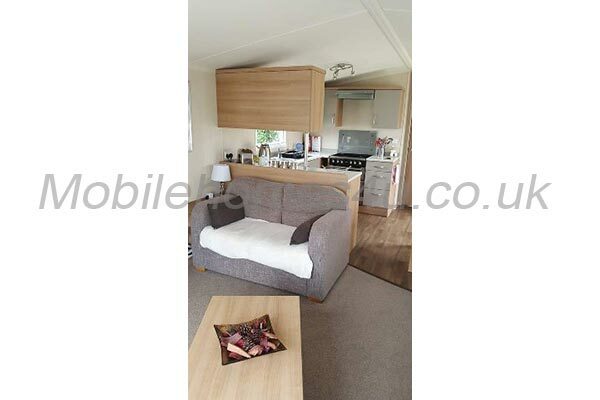 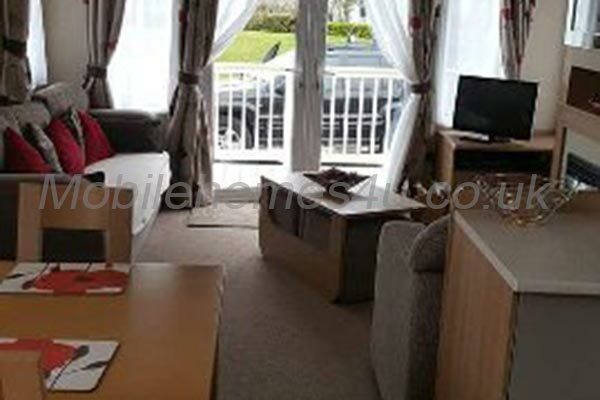 Our spacious 3 bedroom mobile home is located on the 5 Star site Bel Air, Languedec, Brittany. 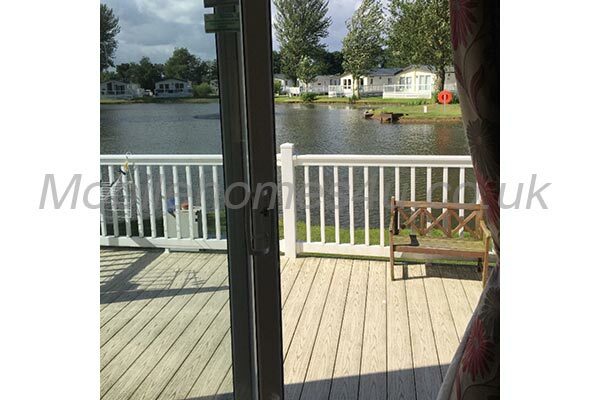 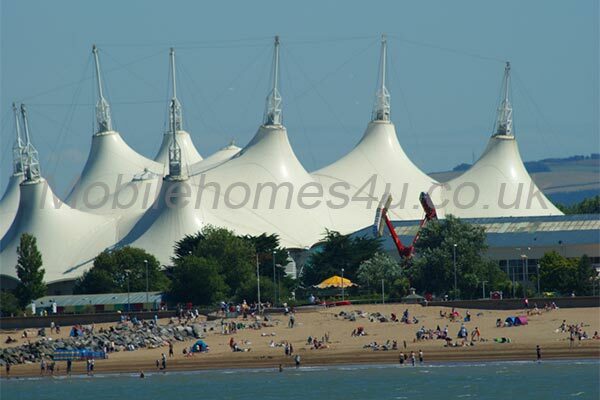 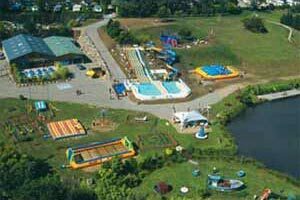 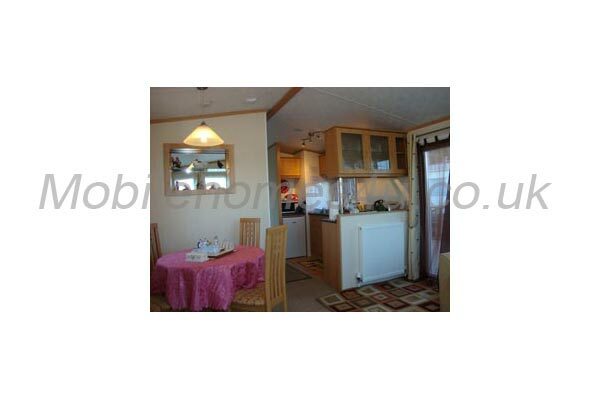 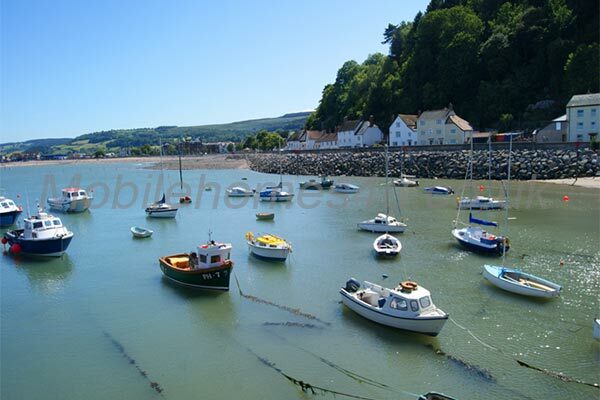 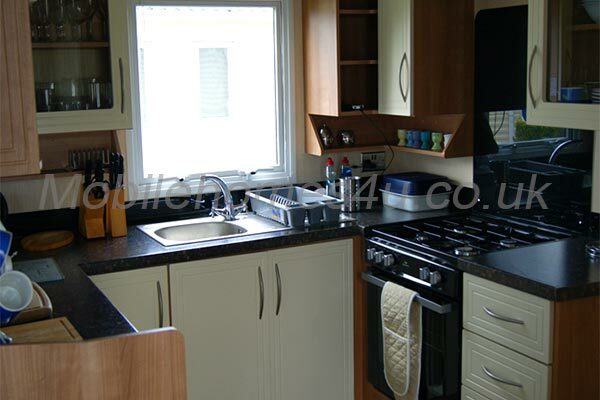 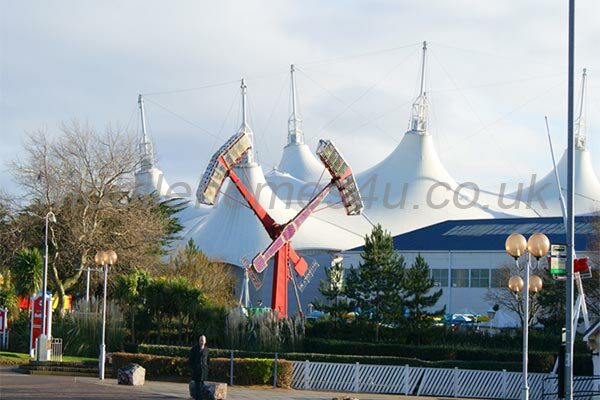 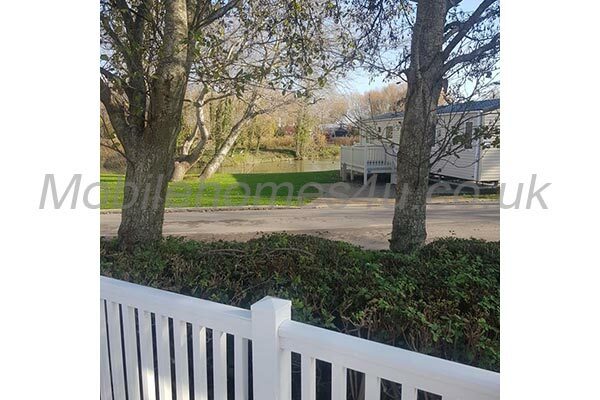 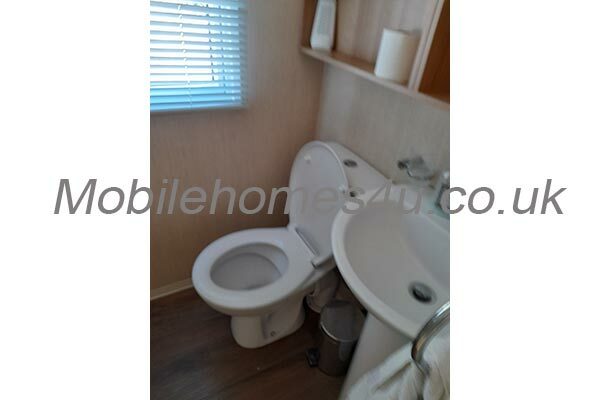 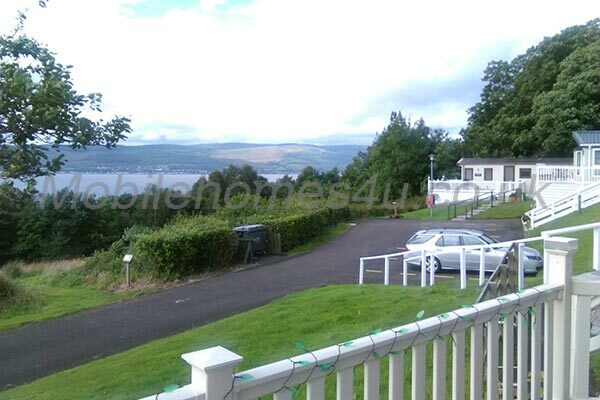 The site is set around a large boating lake where you can hire pedaloes or go fishing. 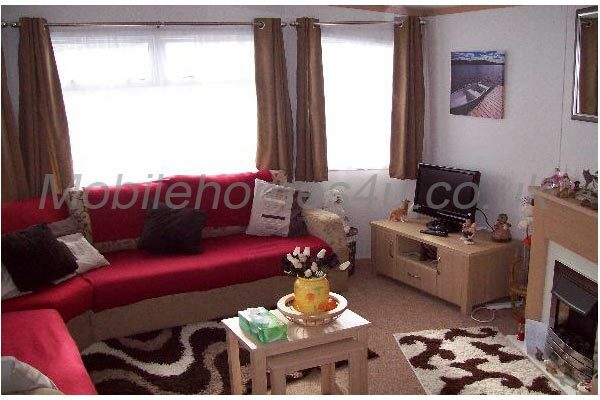 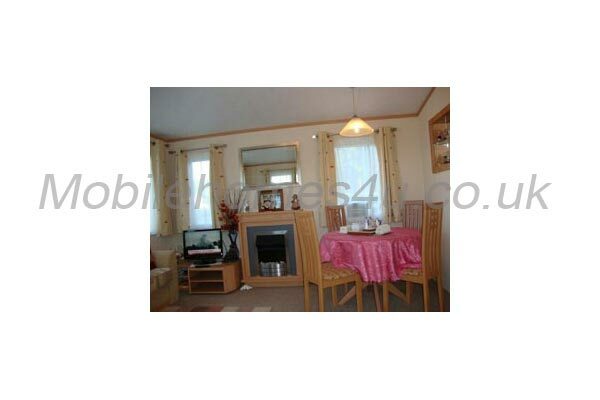 There are convector heaters in the lounge, double bedroom and twin bedroom. 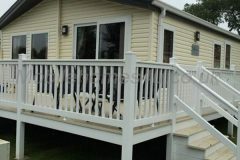 Please contact for special offers on certain dates. 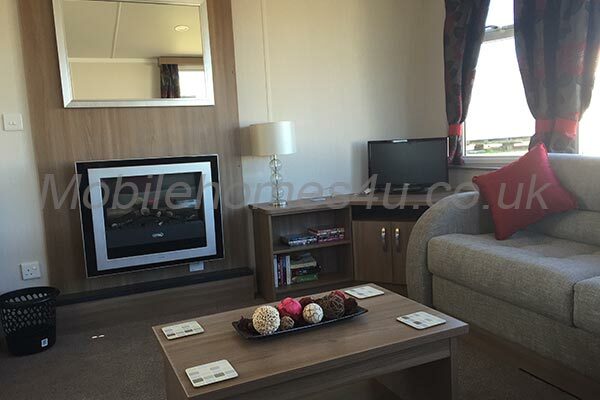 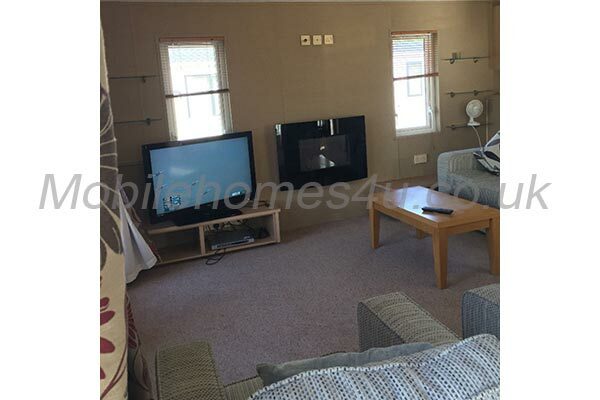 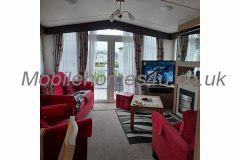 The open plan living area includes a comfortable lounge with TV which has Freeview Sky Satellite connected. 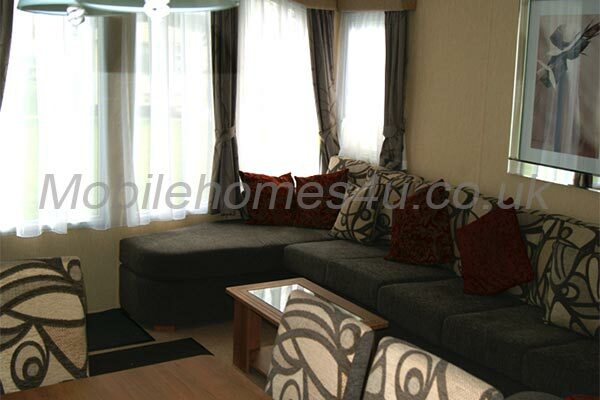 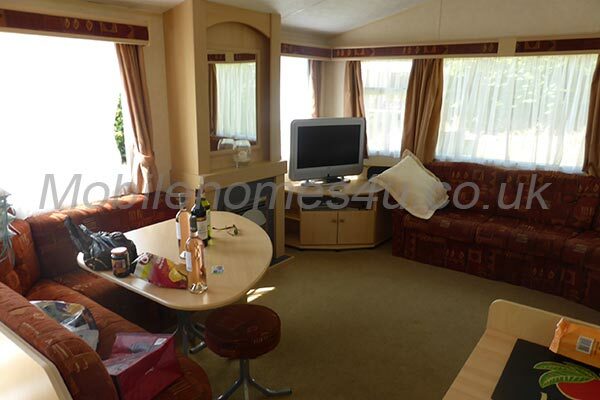 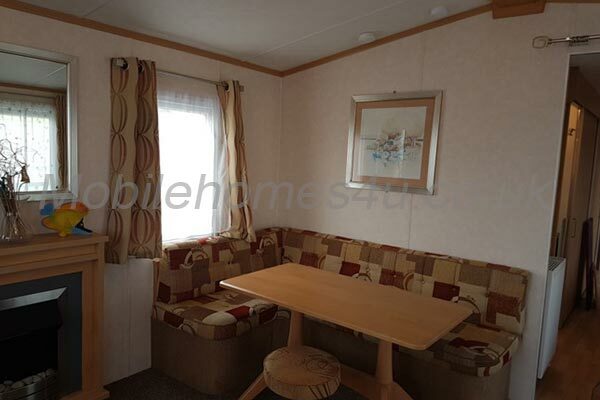 The spacious lounge has comfortable seating that converts to a pull out double bed. 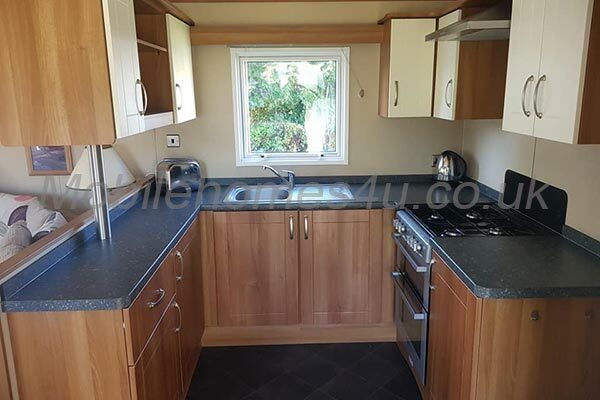 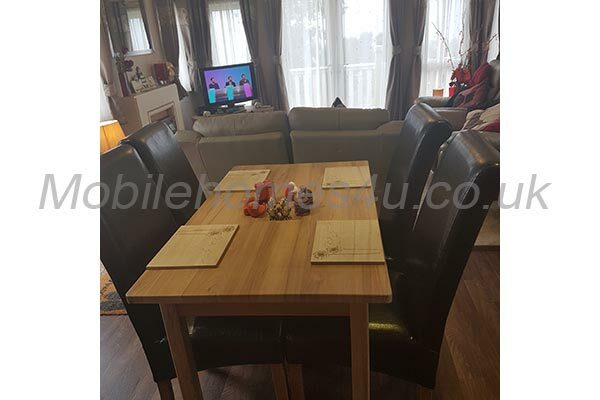 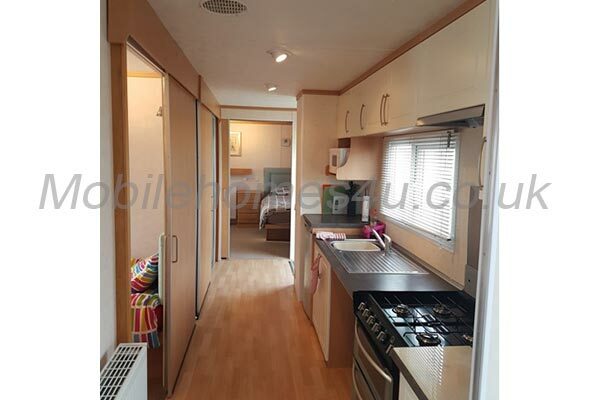 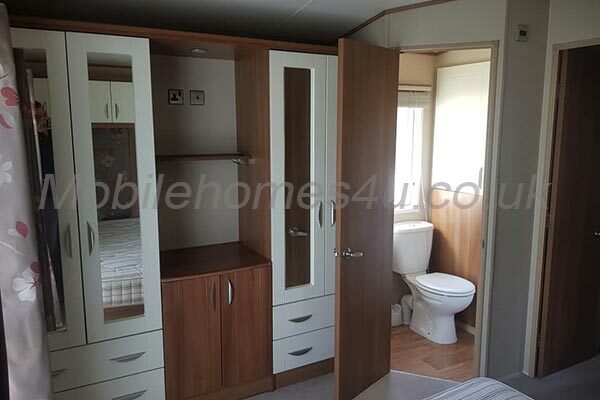 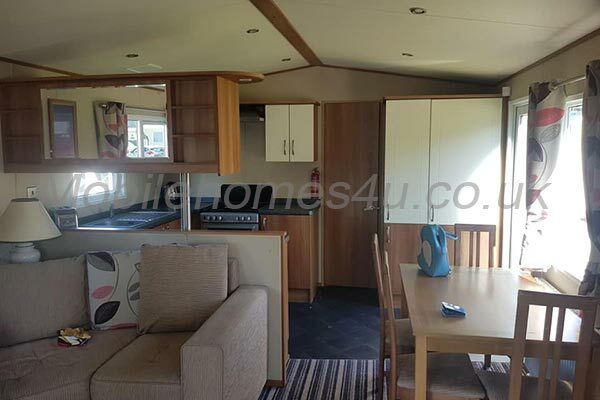 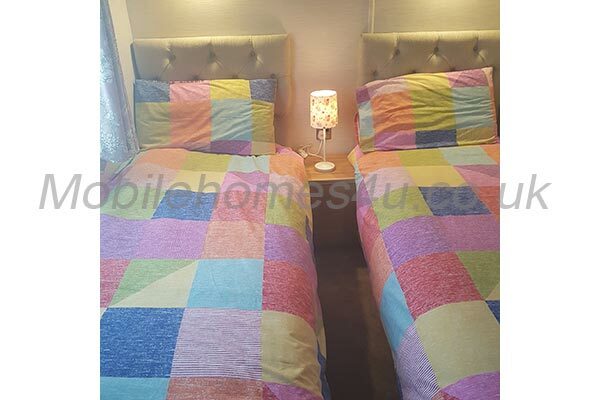 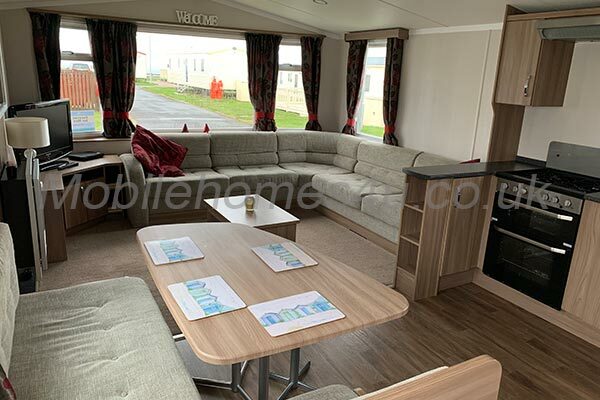 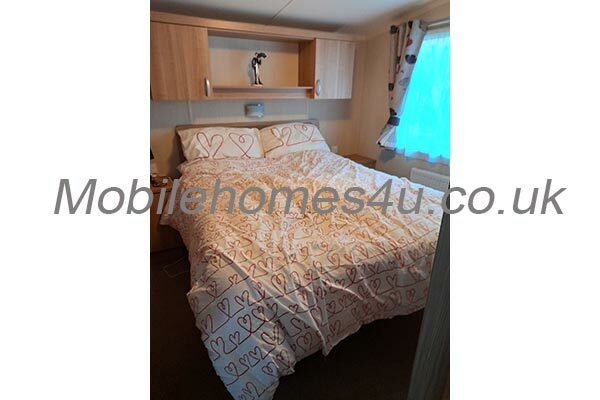 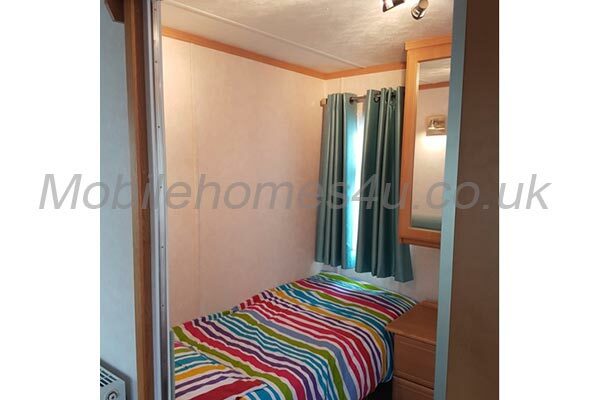 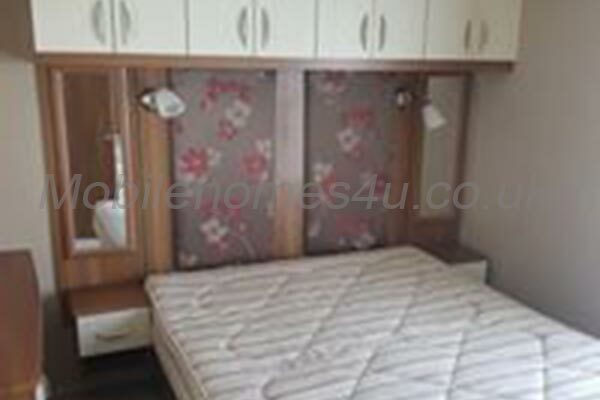 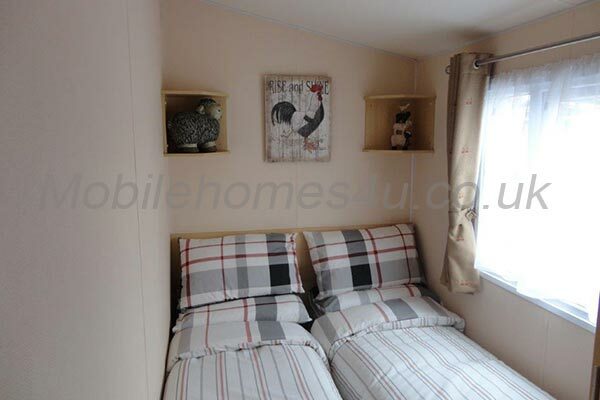 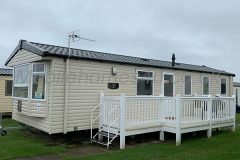 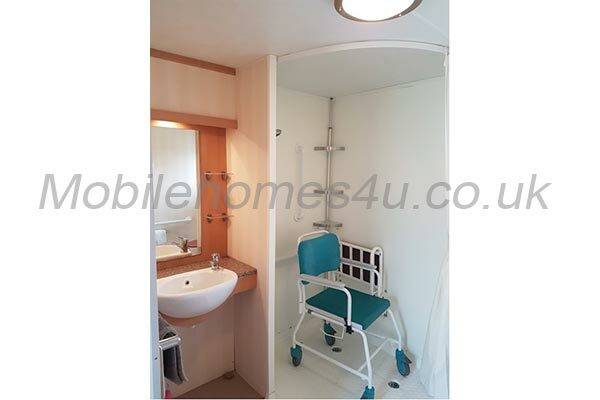 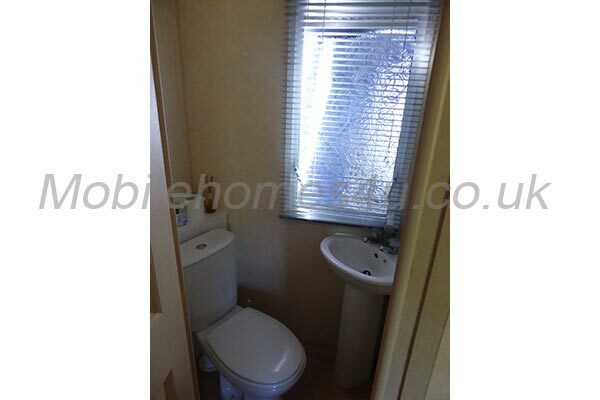 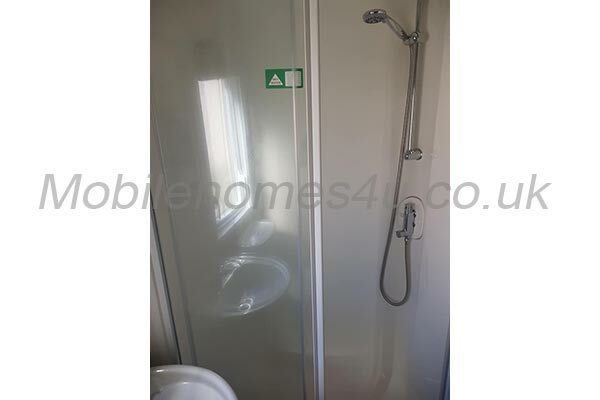 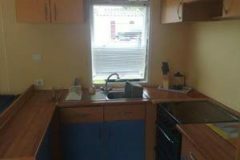 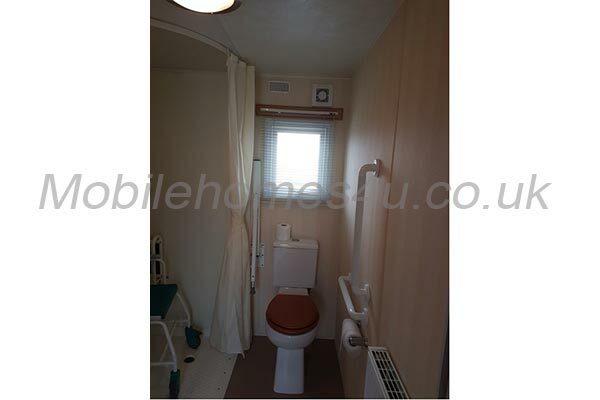 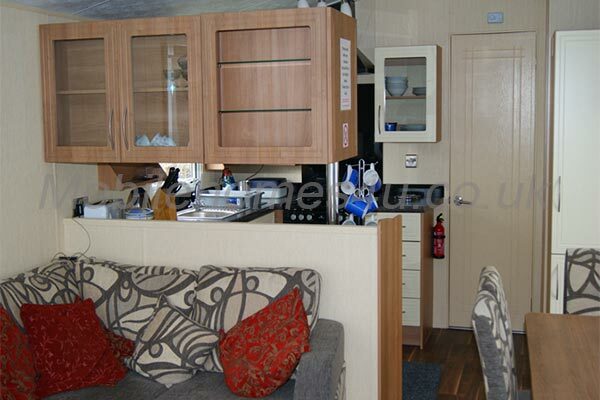 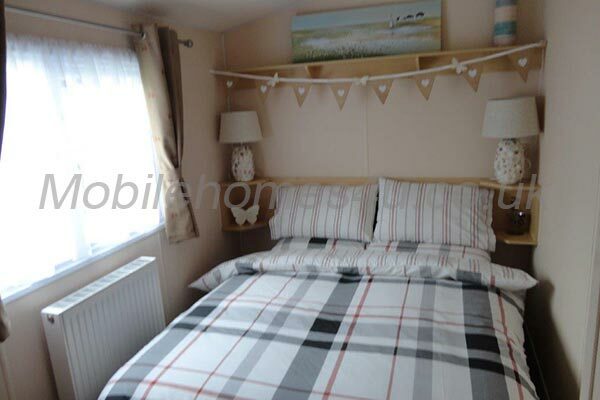 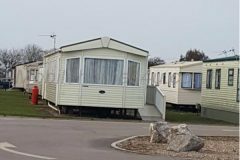 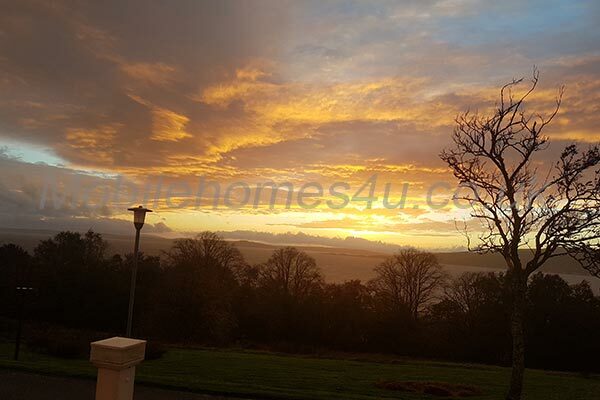 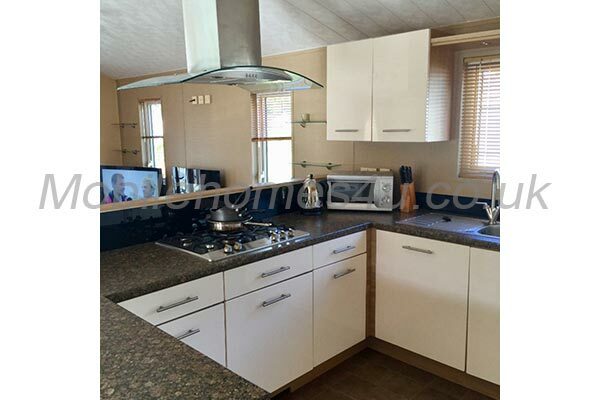 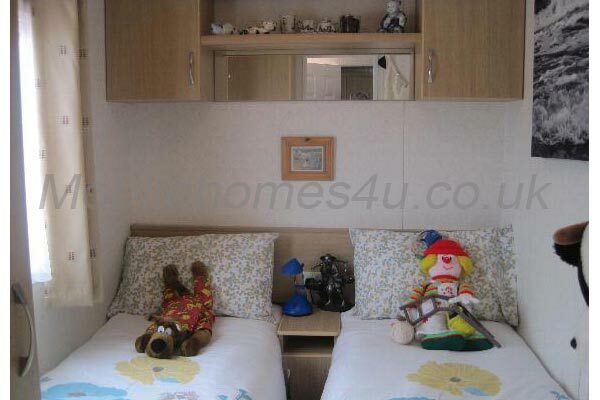 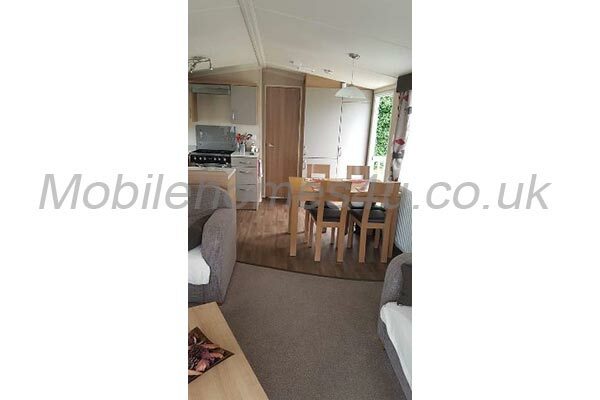 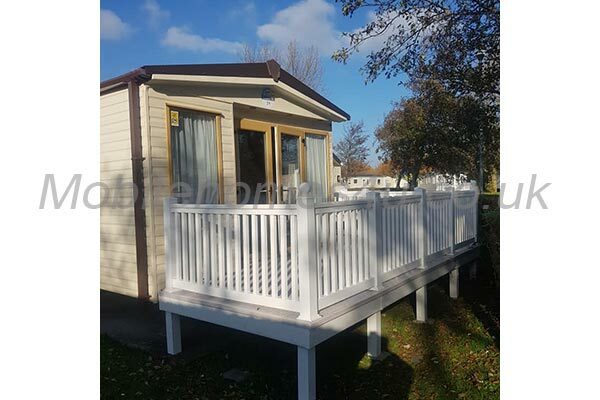 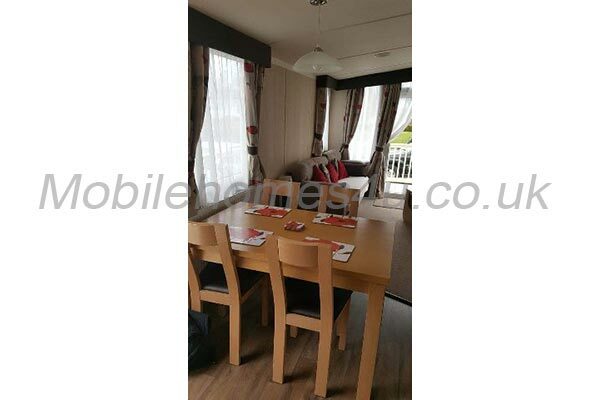 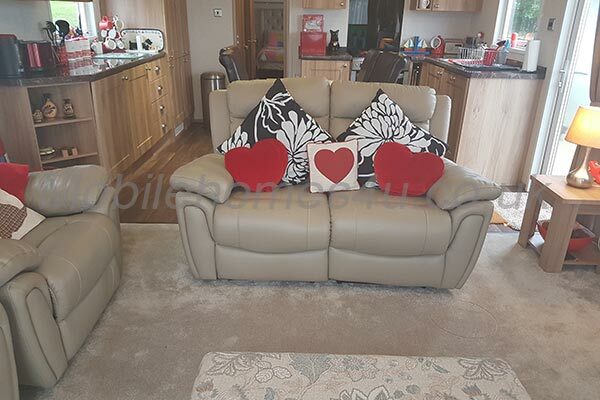 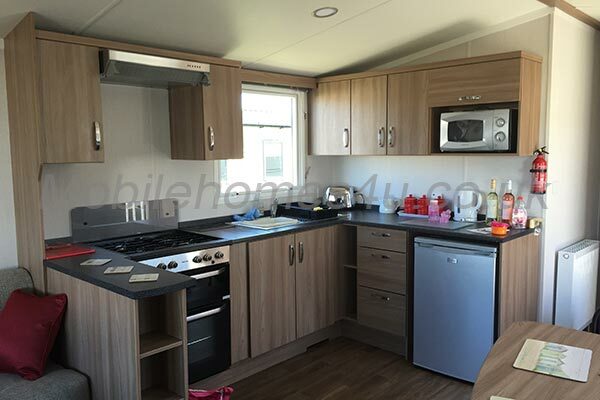 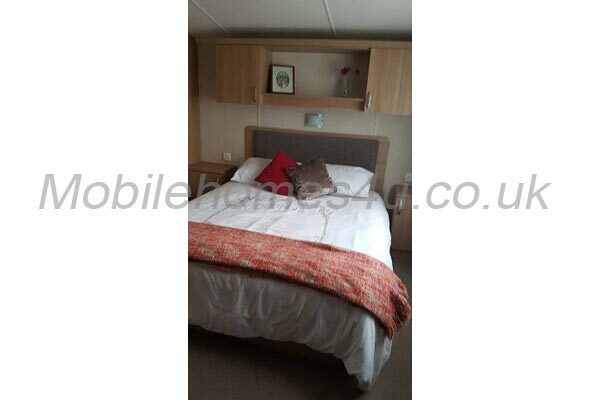 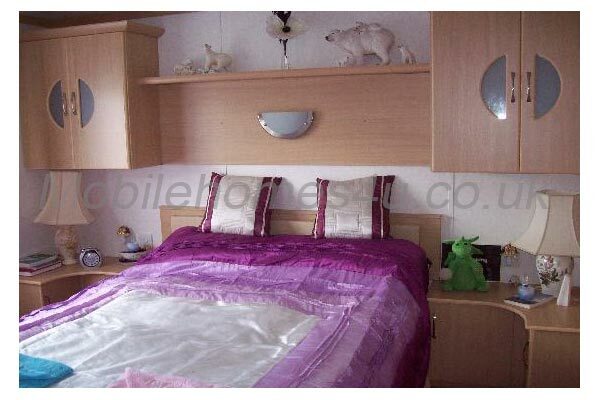 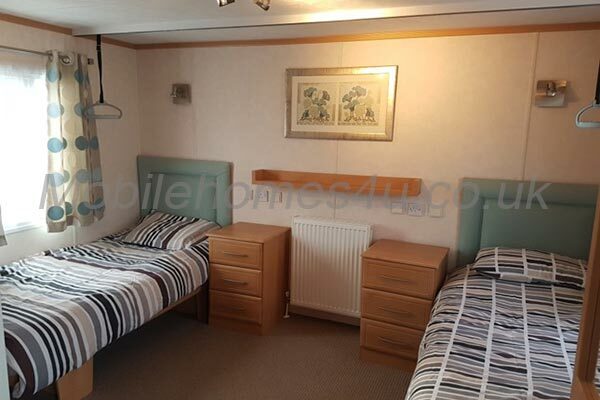 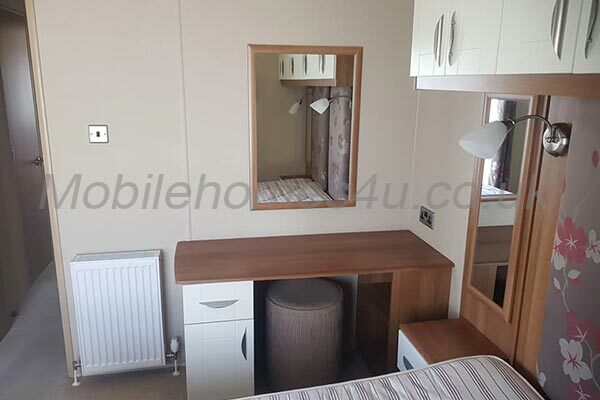 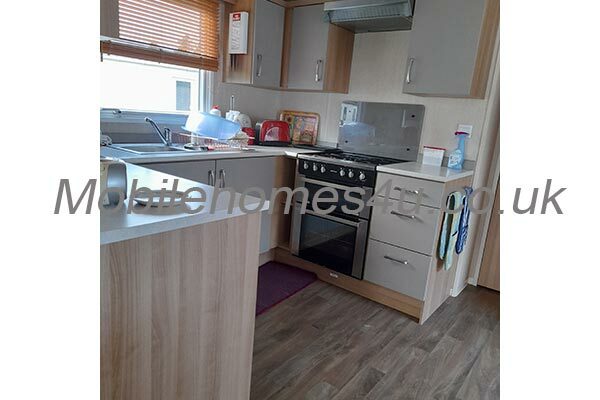 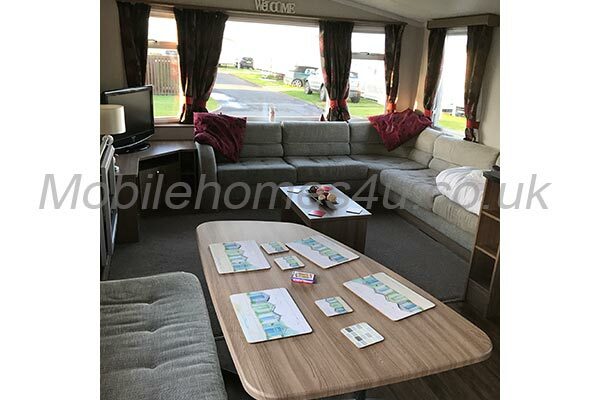 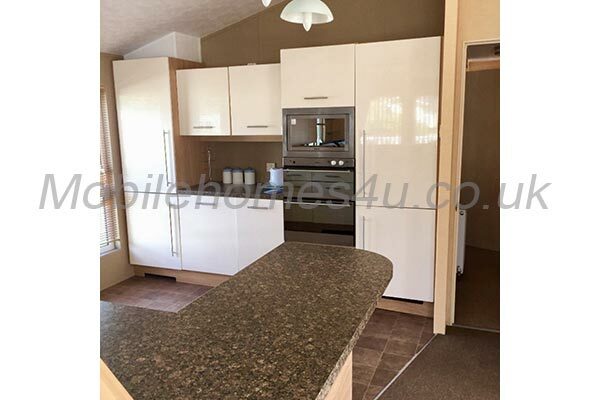 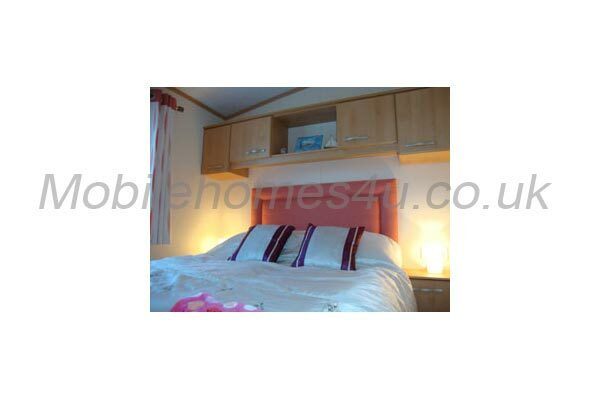 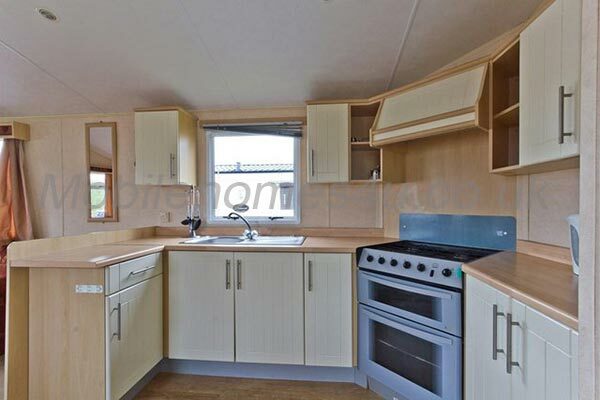 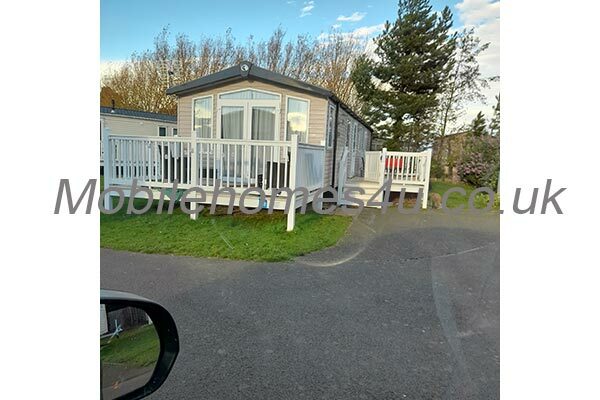 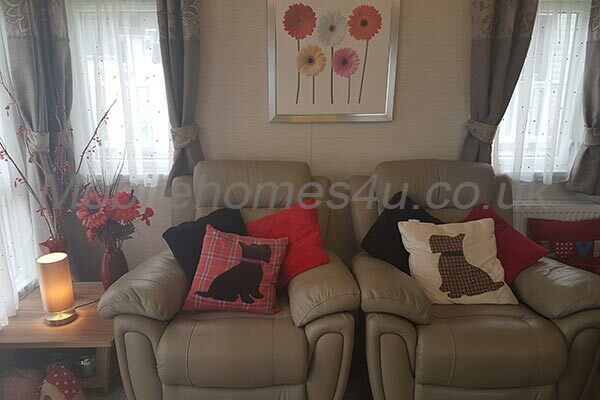 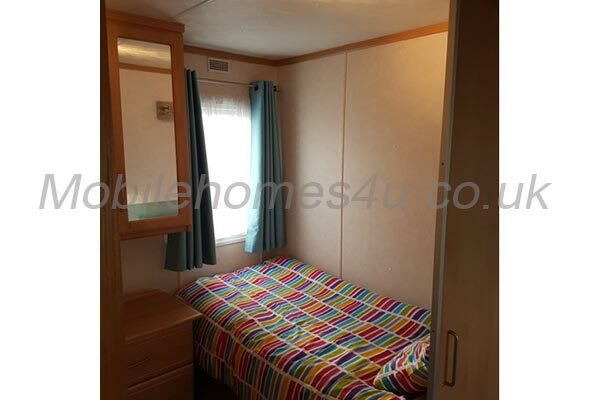 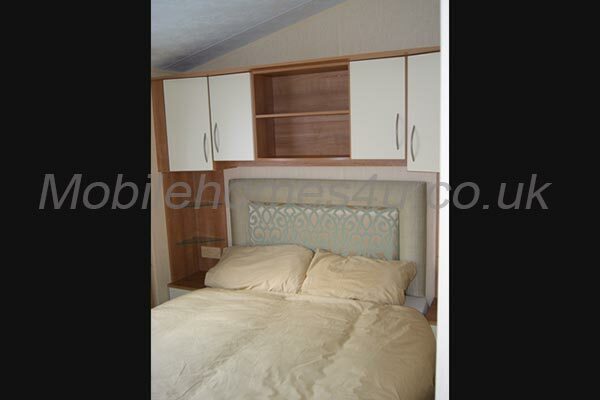 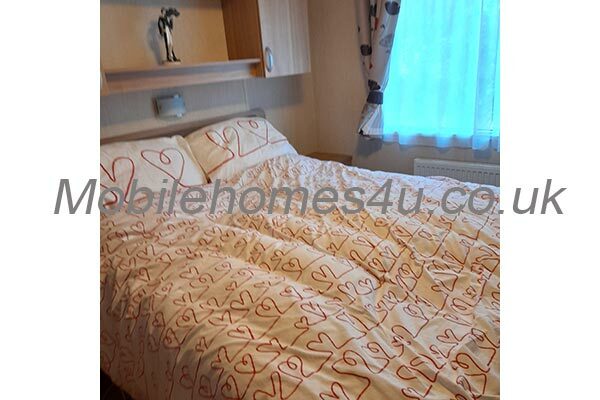 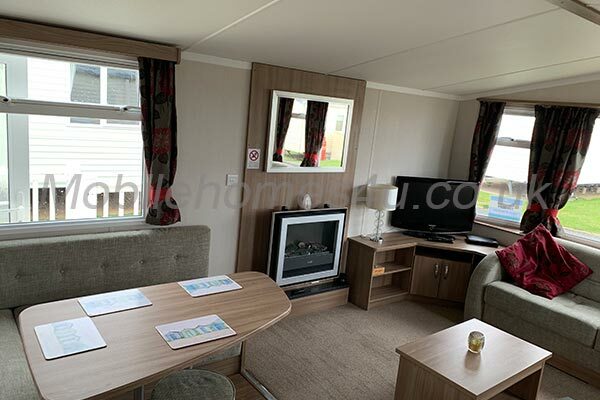 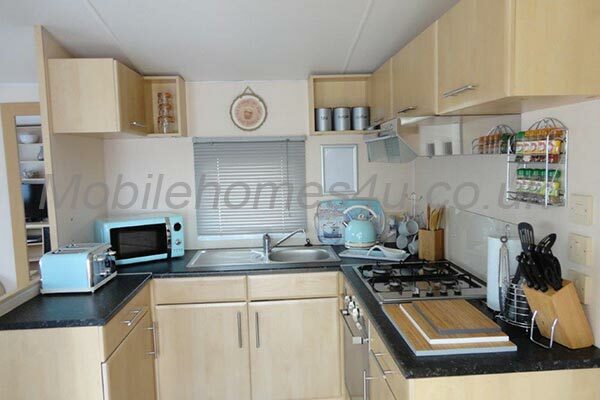 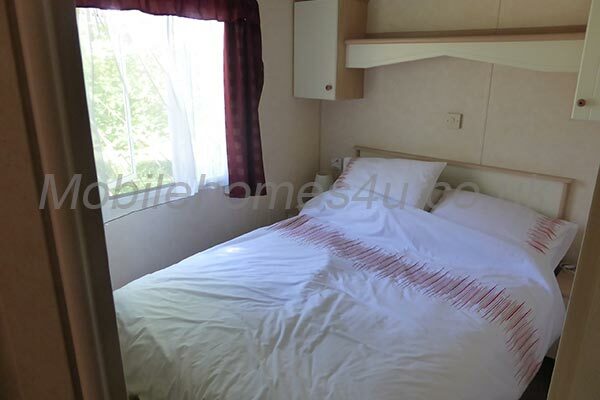 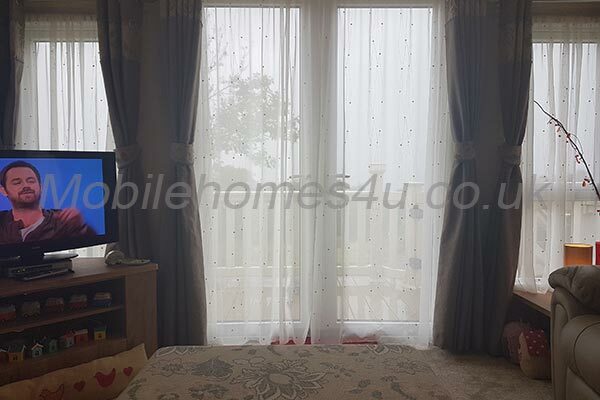 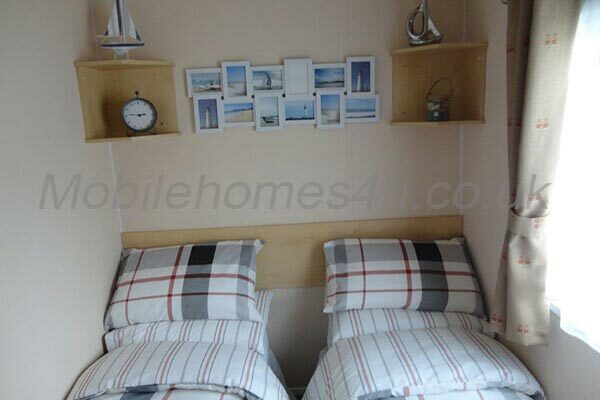 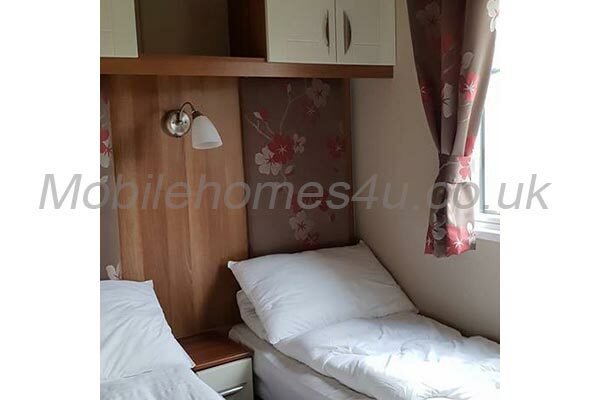 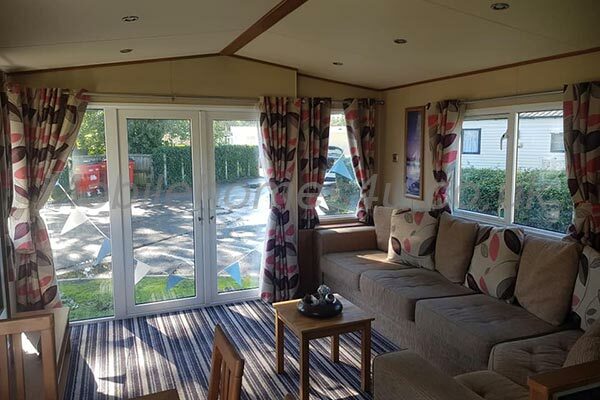 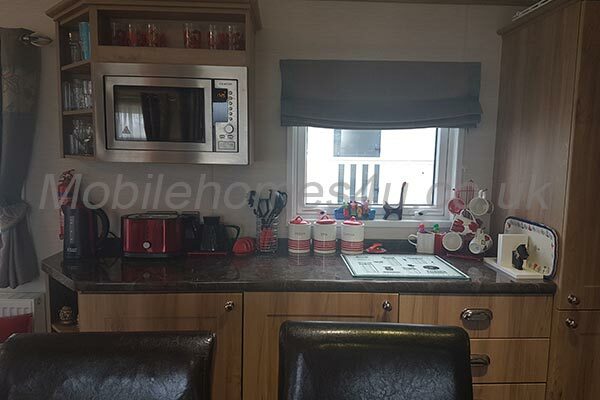 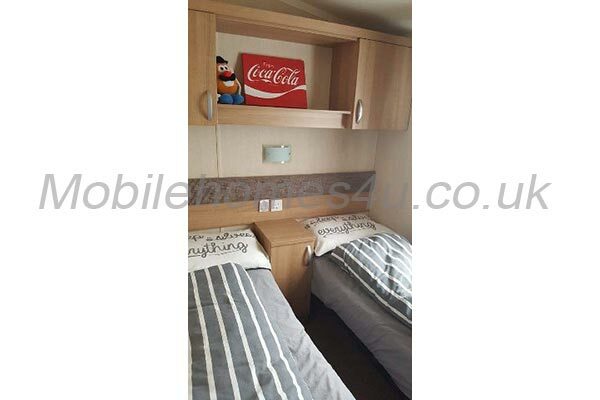 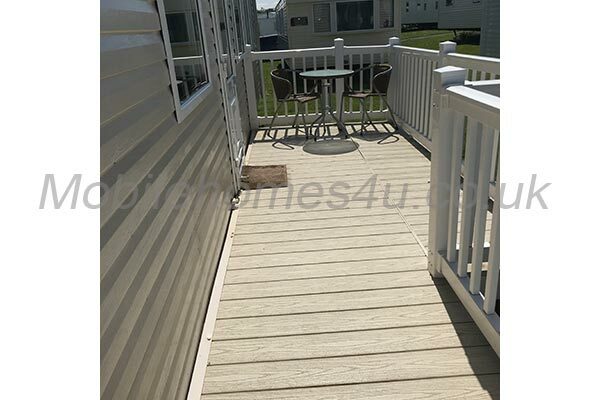 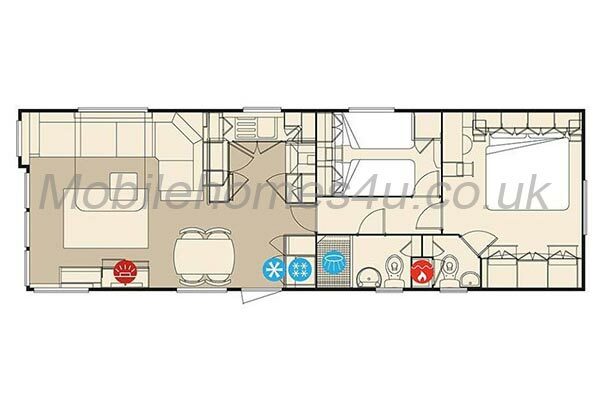 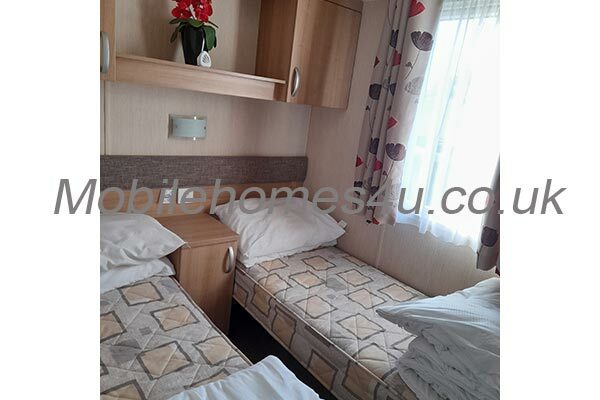 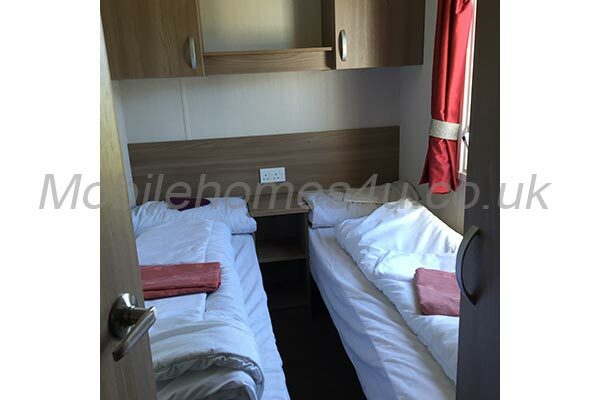 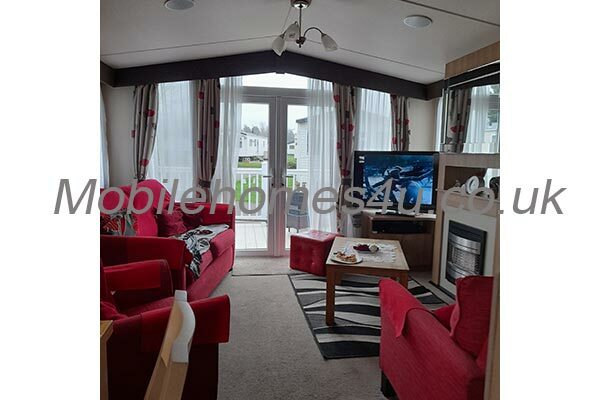 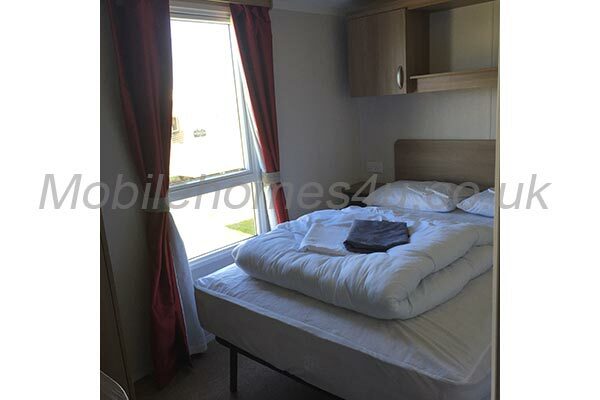 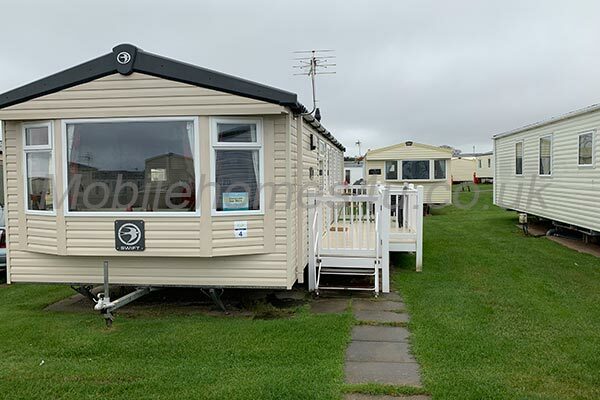 Our mobile home comprises of a master double bedroom with built in storage, a second bedroom with twin beds and storage, a third bedroom with bunk beds and storage. 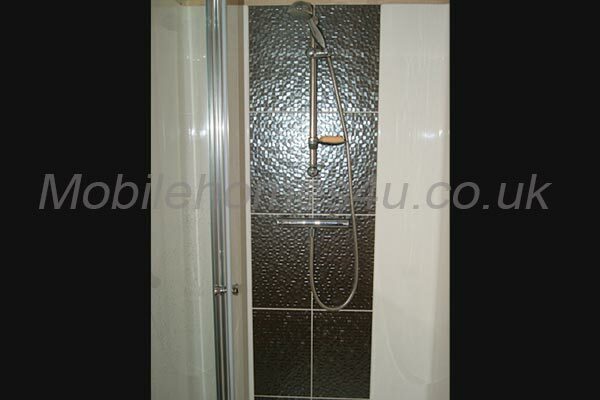 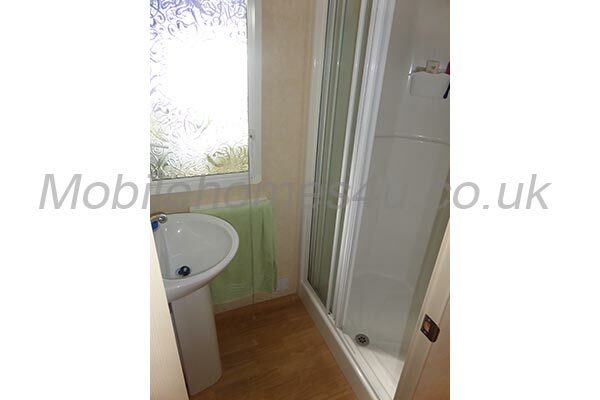 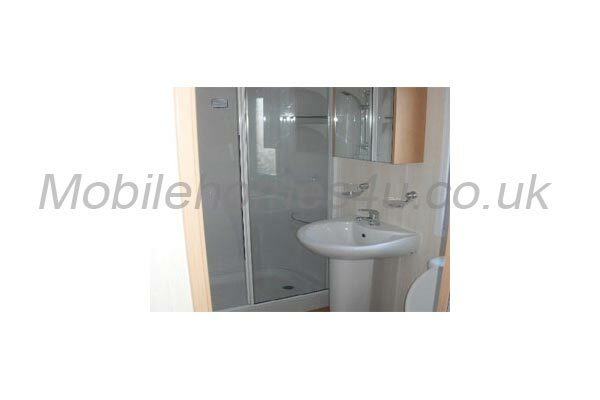 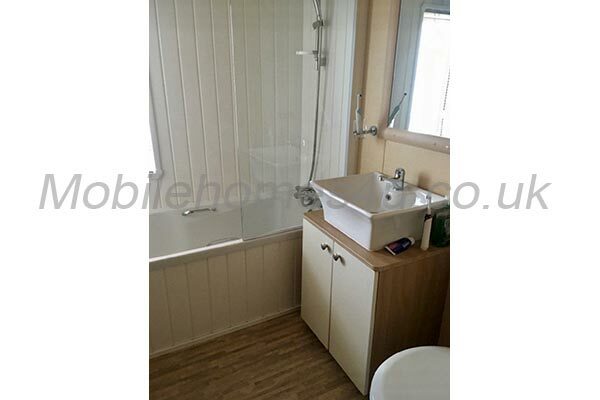 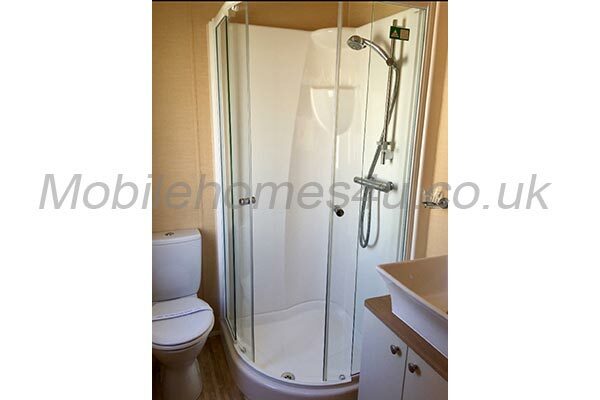 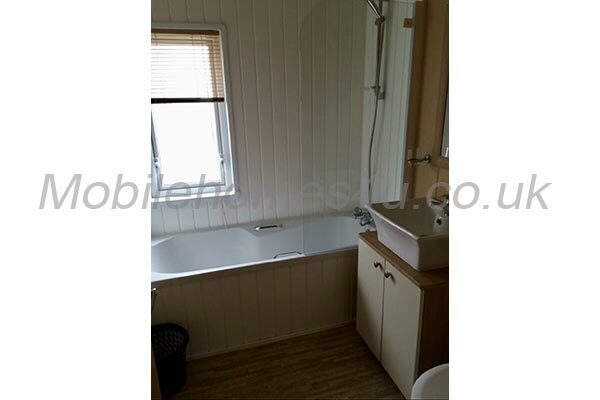 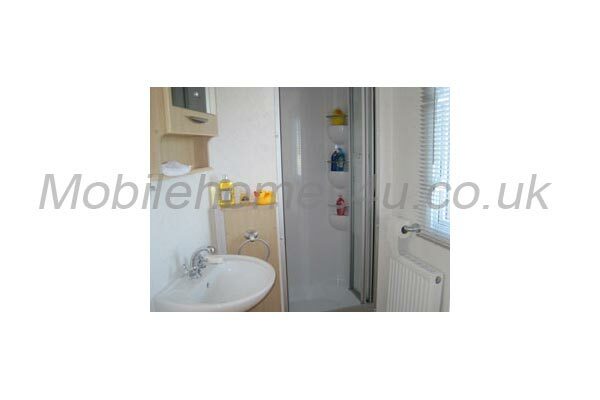 Shower room with shower, wash basin and toilet. 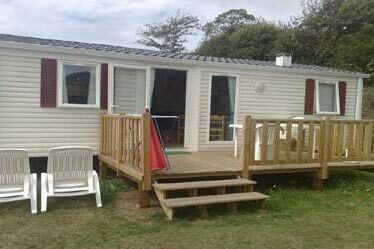 Outside there is a decked area, together with a table and 6 chairs, parasol, 2 loungers and barbecue (charcoal not supplied). 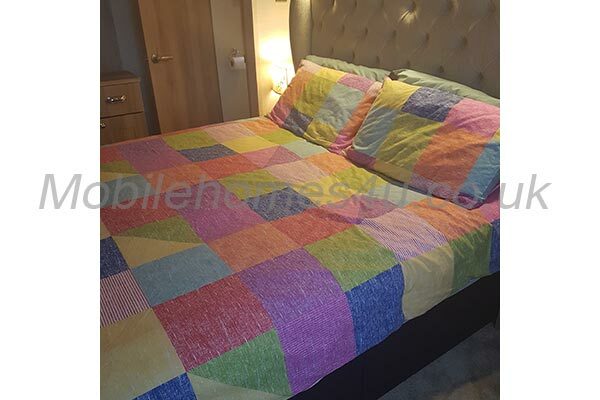 Pillows and quilts provided but please bring your own linen and towels.